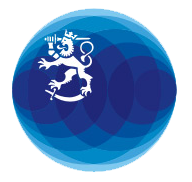 In 2019, the Ministry for Foreign Affairs, together with other Team Finland organizations and the U.S. Embassy in Helsinki, will organize Road Show in Finland. The aim is to strengthen bilateral commercial and economic relations between Finland and the United States by advancing trade, investments and innovation cooperation. The Road Show will offer information about the commercial opportunities of the U.S. market. At the center of each event will be the exchange of experiences and concrete tips on what a successful access to the United States’ market requires; what the companies have to take into consideration, and how they are best prepared. Participants will be offered information about Team Finland services as well as other service providers assisting companies in their market access plans. The Road Show will also celebrate the centenary of the formal relations between Finland and the United States. “The United States is our most important trade partner outside the EU, and also one of the most popular investment destinations for Finnish companies. I encourage businesses and other actors to seize the commercial and cooperation opportunities provided by the U.S. market, in order to build even stronger relations in the years to come”, says Anne-Mari Virolainen, Minister for Foreign Trade and Development. The Road Show will begin on April 9 with an event in Turku. Other dates will be announced later. Details of the Turku event are available at Turku Business Region’s web page https://turkubusinessregion.com/tapahtuma/international-business-session-on-u-s-market/ . The media is welcome to attend and cover the opening remarks. Inquiries: Miia Rantanen, Unit for North America, tel. +358 295 350 056.